We packed our bags yet again but this time it was more than just our backpacks. It was early fall and we were getting ready for the big move from Los Angeles to New York City. While our stuff was piled into a moving pod to be shipped across the country Nathan and I boarded our one-way flight to the East Coast. Upon arriving to the city, we dove headfirst into Craigslist ads with the goal of finding our new home within a week. Thus began the Great Apartment Hunt. 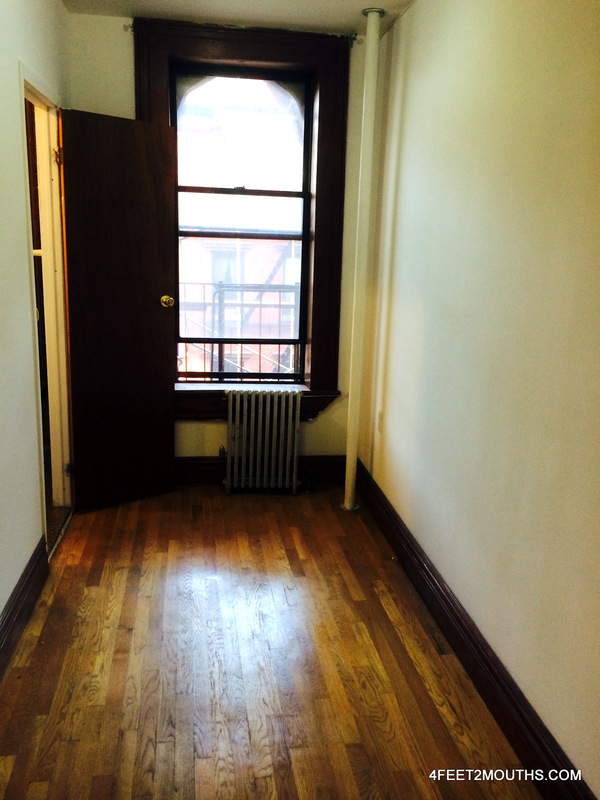 Finding an apartment can be equal parts exciting and anxiety-inducing. In New York, however, the latter wins out as the city is overrun with brokers who charge nearly 2 months’ rent for the doing the same thing you can do on your own with Craigslist. Given the high price of apartments already, this is an astronomically high sum for the amount of work they’re theoretically saving you. To make matters worse, brokers flood Craigslist and other free listing sites with fake ads so that you will call their company and they can try to get your business. It all makes for an extremely frustrating process for those without a ton of cash to burn. Despite the obstacles, we decided to do our best to sidestep the broker system and find something on our own. 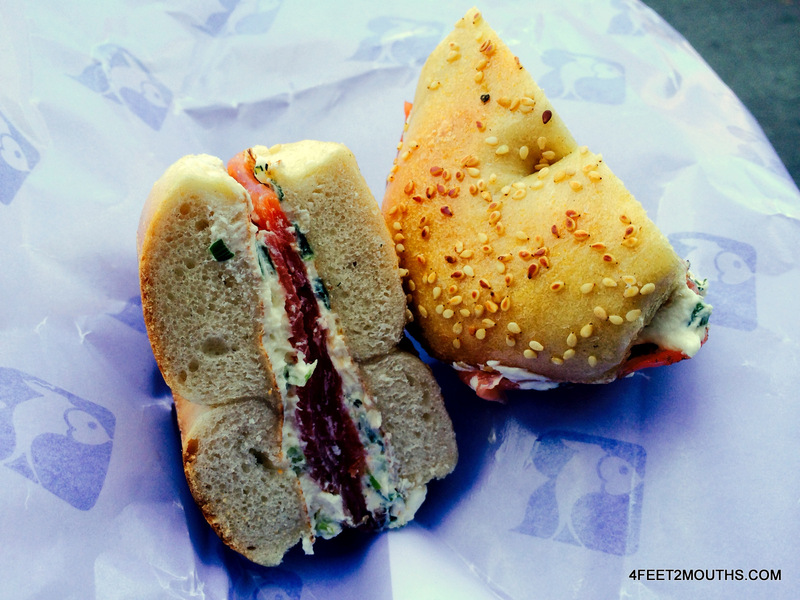 Russ & Daughters to fuel our search. 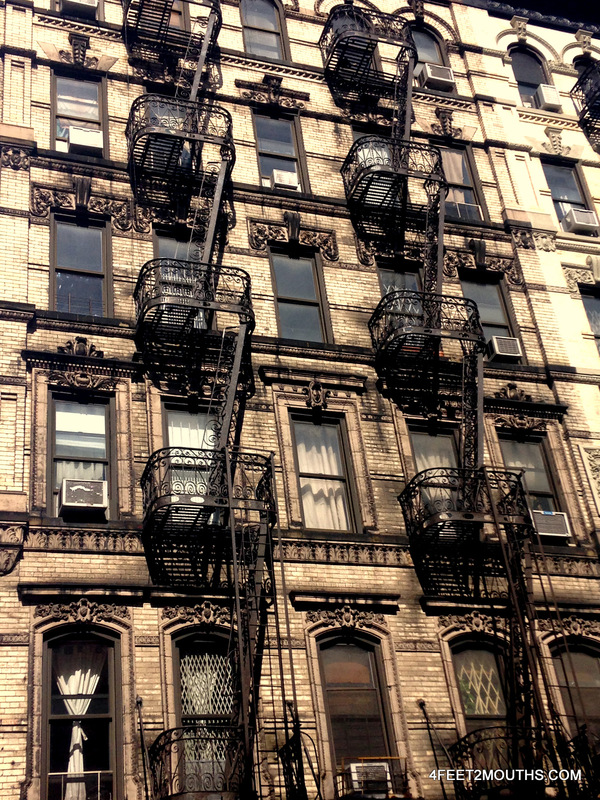 Our experience started on a beautiful sunny day walking around the Lower East Side. 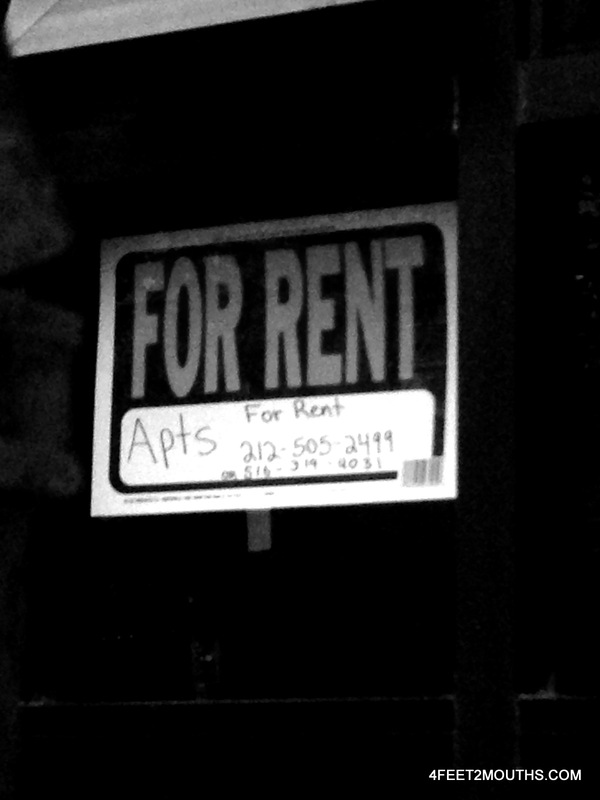 As we meandered we called every “For Rent” sign phone number we stumbled upon. We would stop for coffee or a bagel at Russ & Daughters and scour Craigslist and other apartment listing sites from our phones. And we got exactly nowhere. No one we called had a one bedroom available and some said they only went through brokers. We felt broken by the broker system. 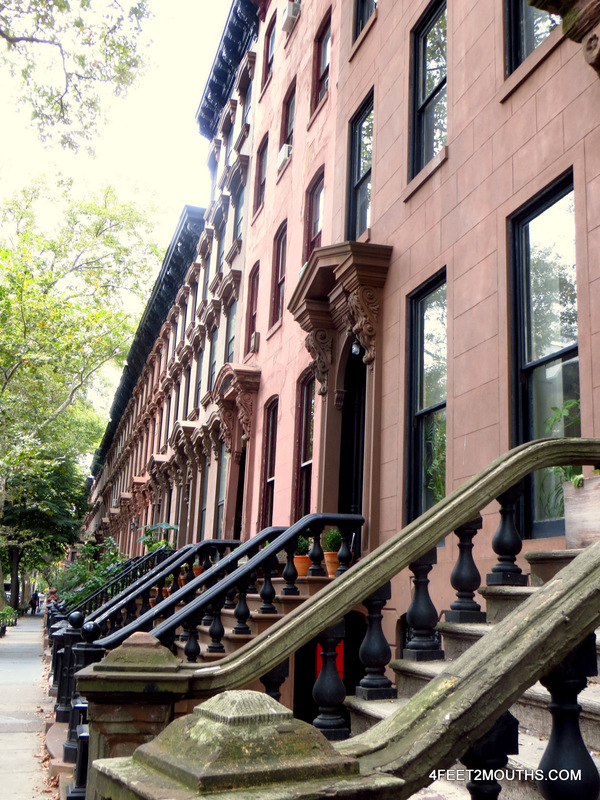 We broadened our search to include Brooklyn brownstones. We knew we had change up our strategy so we broadened our search area to more neighborhoods and Manhattan and even across the East River to Brooklyn but to no avail. Finally, we gave in and called some brokers. The initial excitement of access to more listings was soon tempered when they showed us places that were extremely small, dark, poorly maintained and/or expensive. Some of the worst things we saw included a floor so uneven you had to walk uphill just to cross the living room, a kitchen with a broken stove that they simply placed a hot plate on top of to “fix,” and an extremely filthy apartment featuring a giant bong in the bathtub. I’m sure that worse exists in NYC but I couldn’t believe the asking prices of these places. Our dreams of living in Manhattan were looking a little hopeless. 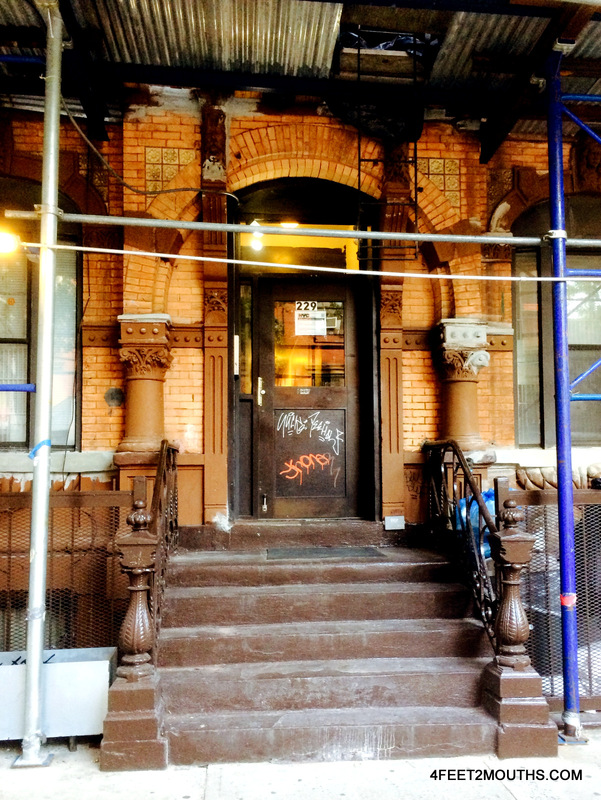 The entrance of a potential rental…home sweet home? This bedroom might actually fit a bed. We eventually did find a sublet (which was in a great neighborhood I’ll post about soon). 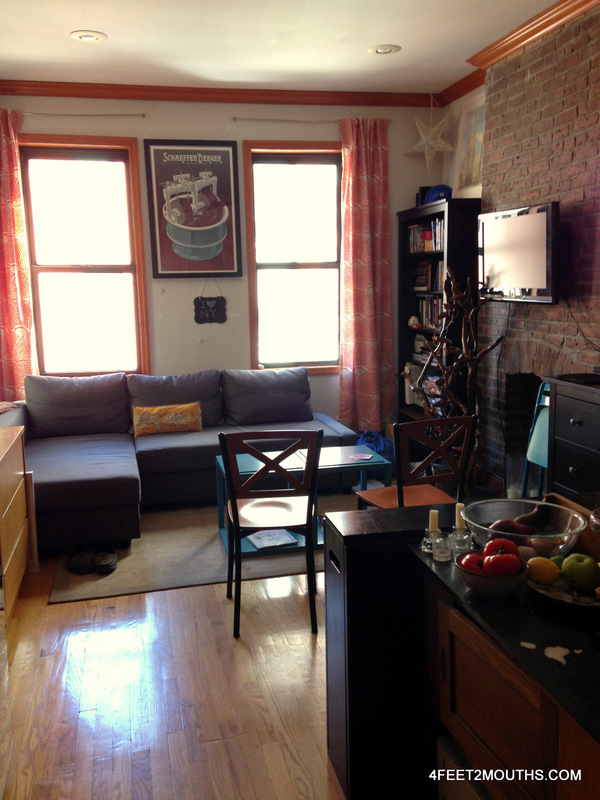 At the end of November we moved all our earthly belongings to our tiny corner of NYC to call home. Over the past four months we’ve thoroughly enjoyed exploring our new neighborhood. I really can’t imagine being anywhere else right now.